Bernardo Provenzano, a Mafia boss who managed to evade the Sicilian police for 43 years after a warrant was issued for his arrest in 1963, was born on this day in 1933 in Corleone, the fabled town in the rugged countryside above Palermo that became famous for its association with Mario Puzo's novel The Godfather. The former farm labourer, who rose through the ranks to become the overall head - il capo di tutti i capi - of the so-called Cosa Nostra, lived for years under the eyes of the authorities in an opulent 18th century villa in a prestigious Palermo suburb, although ultimately he took refuge in the hills, alternating between two remote peasant farmhouses. He was finally captured and imprisoned in 2006 and died in the prisoners' ward of a Milan hospital 10 years later, aged 83. Although Provenzano assumed power during one of the bloodiest periods in Mafia history, he was eventually credited with rescuing the organisation from the brink of collapse by turning away from the violent path followed by his predecessor as capo di tutti i capi, Salvatore 'Toto' Riina, and restoring traditional Mafia values. Provenzano was born and raised in Corleone, the small agricultural town that acquired mythical status after Puzo chose Vito Corleone as the name for his fictional mafia boss in The Godfather. He left school at the age of 10 to work in the fields at the time of the Allied invasion of Sicily in the summer of 1943. He and Riina knew each other as boys and they joined the Mafia as teenagers. Provenzano was an excellent shot and he and Riina were hired by the ambitious mobster Luciano Liggio as armed escorts in his cattle-rustling operation. 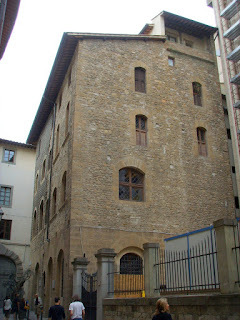 Provenzano and Riina were subsequently among the 14 gunmen who in 1958 helped Liggio seize control of the Corleonese clan by murdering its leader, Michele Navarra. 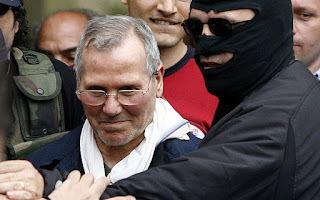 Provenzano was identified as one of the killers and implicated in several other murders during a power struggle that ensued within the Corleone clan following the Navarra slaying. A warrant for his arrest was issued in 1963 and he went into hiding. He was seldom seen in public, refused to have his picture taken and never answered the telephone in person, so fearful was he that he would be found. Yet over the next four decades he would become one of the most powerful figures in organised crime in Italy. When Leggio was arrested and jailed in 1974, Riina became the boss of the Corleonese clan and chose Provenzano as his right-hand man. 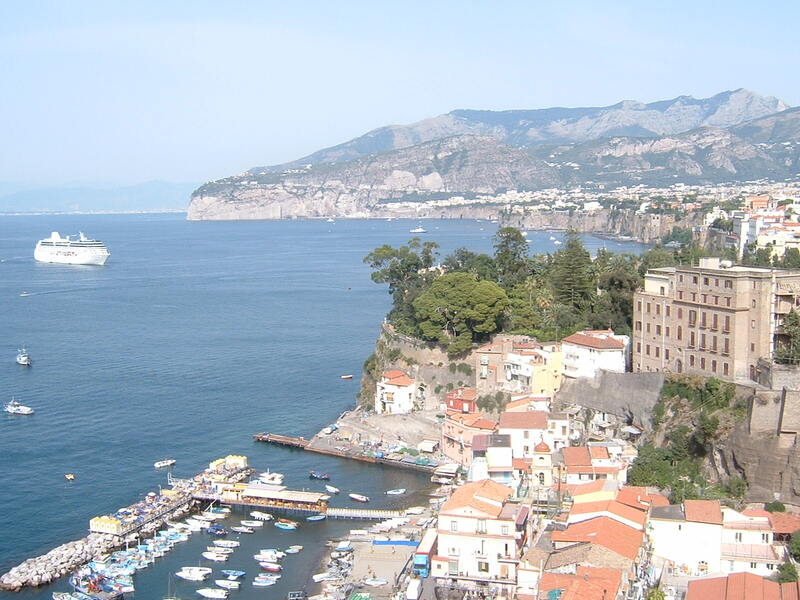 Riina set his sights on taking over the Mafia throughout Sicily and on switching from traditional Mafia activities such as extortion and protection rackets to the heroin trade, which was far more lucrative. 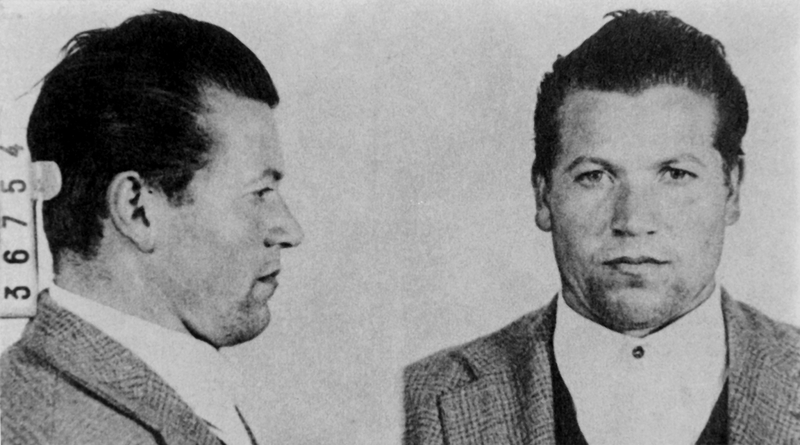 However, his ambitions met with fierce opposition from the Palermo families and sparked a civil war within the Cosa Nostra that claimed more than 1,000 lives. Ultimately, Riina prevailed. But the bloodshed outraged public opinion, prompting a concerted crackdown on Mafia activities culminating in the “Maxi Trial” of 1986-87 that saw nearly 360 mobsters convicted. Many were found guilty in absentia, including Riina and Provenzano. Extraordinarily, Provenzano was all this time living in the spectacular 18th century Villa Valguarnara in Bagheria, which was his home for much of the 1980s and 1990s. 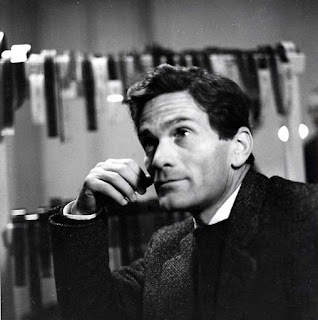 He went to considerable lengths to keep himself invisible, never having a bank account or a telephone, communicating with associates by way of pizzini - typewritten coded notes folded into tiny squares - and travelling to meetings in an ambulance. Riina's response to the "Maxi Trial" was to wage a new war on the State itself, in which high profile victims included the Euro MP and former Mayor of Palermo, Salvatore Lima, and Italy’s most prominent anti-Mafia judges, Giovanni Falcone and Paolo Borsellino, who were murdered in Sicily within the space of five months in 1992. These deaths caused still more public outrage and in January 1993 Riina was finally tracked down and arrested. 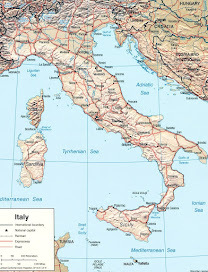 The anti-State campaign continued after Riina's arrest with a series of bomb attacks in public places in mainland Italy. Five people, including a baby girl, were killed in 1993 when a car bomb exploded outside the Uffizi Gallery in Florence. In the meantime, Provenzano had taken Riina's place as capo di tutti i capi. 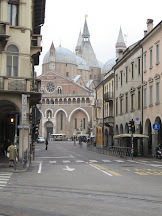 The bombings stopped, it is thought, because he saw the high levels of violence that characterised Riina's reign as being an impediment to Mafia operations, attracting unwanted attention from the authorities. 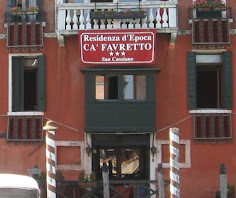 It is even suspected that it was Provenzano who tipped off the police, through intermediaries, about Riina's address, so that he could seize power and oversee a return to more traditional Mafia practices. Despite Riina's arrest, Provenzano kept out of sight and for many years it was assumed he was dead. In fact, he was quietly rebuilding the organisation and restoring its financial power. That he was alive came to light in January 2005 during the arrest of other suspected Mafiosi, when police discovered some of his type-written coded notes and, working on a tip-off from a supergrass, found him living in a shepherd’s refuge in the countryside outside Corleone. He was arrested on April 11, 2006. Having been already convicted in absentia of several murders, including those of the judges Falcone and Borsellino, he was imprisoned with no requirement for a trial. Paradoxically, for one who made his money from crimes supported by threats and violence, Provenzano was deeply religious. Associates described how his notes often included blessings or quotations from the bible, while he appeared at one meeting of Cosa Nostra bosses in 1992 dressed as a cardinal. When arrested, all that he took with him from the shepherd’s refuge were his medicine and his rosary. 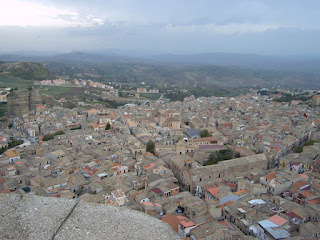 Corleone, a town of around 12,000 inhabitants in the province of Palermo, was once dominated by Arabs before falling into the hands of the Normans. Its strategic position overlooking the main routes between Palermo and Agrigento meant it was on the frontline in many wars. At one time the town had two castles and was encircled by a defensive wall. 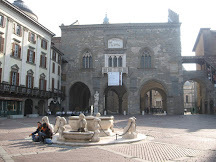 Its association with the Mafia began in the 1960s following the outbreak of violence that followed the killing of Michele Navarra. The link was solidified when Mario Puzo decided his main character in The Godfather would be known as Vito Corleone after a United States immigration official processing the arrival of Vito Andolini mistook his place of origin for his surname. Some of the most impressive buildings in Palermo were left behind following the period in which the Normans ruled after conquering Sicily in 1072. 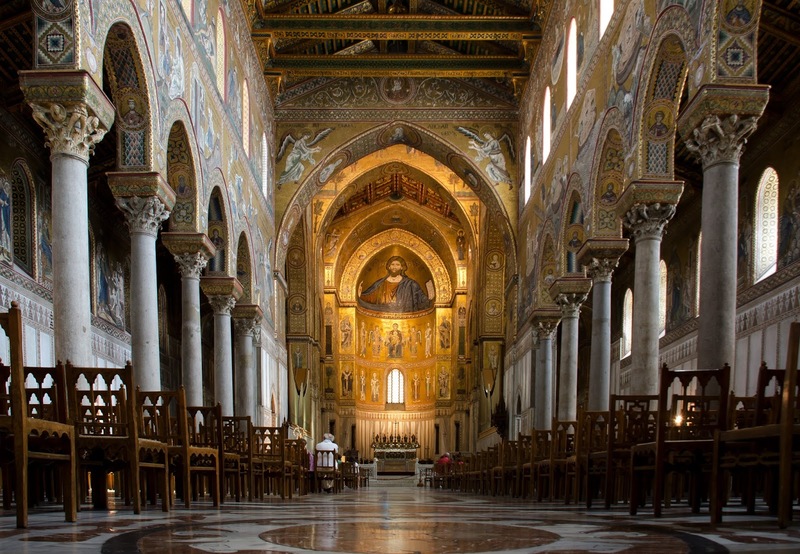 The Norman legacy was a blend of Romanesque architecture, Byzantine mosaics and Arabic domes. 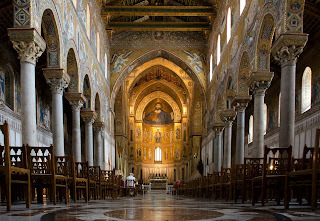 Notable examples are the Palazzo dei Normanni on Piazza Indipendenza, where the Palatine Chapel features golden mosaics of scenes from the Bible, the Church of La Martorana in Piazza Bellini and, a little out of town, cathedral at Monreale, with ceilings and walls decorated by master mosaicists from Byzantium.